The introduction of at-risk registers in general practice for vulnerable patients with asthma can reduce hospital admissions by half compared with routine care, new research suggests. Although researchers identified no difference is overall asthma exacerbations between the two management systems, risk registers appeared to reduce "crises" for the patients most in need. The study assessed 29 practices including 15 who had introduced an electronic system to identify at-risk patients. Patients are placed on the register if they have severe asthma in conjunction with psychosocial factors like obesity, smoking or learning difficulties. GP care is not applicable when travelling overseas so medical travel insurance is worthy of consideration for those with asthma who are going abroad. Researchers at the University of East Anglia said: "The overall pattern of results suggests that use of asthma risk registers improved patient management and outcomes." 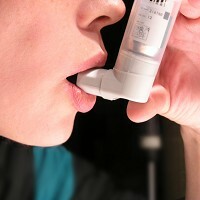 They believe that this was the first study to investigate whether the use of a risk register, as mentioned in British asthma guidelines, is beneficial for patients.